Standpoint, reach beyond the horizon. 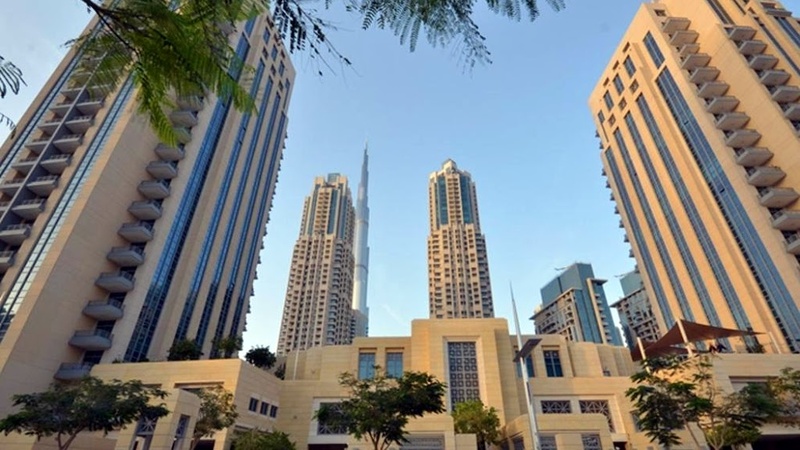 The towers are located in Downtown, near Dubai Opera, Burj Khalifa and the Dubai Fountain. Excellent road junction, many green parks, dozens of business objects makes the complex incredibly attractive. Despite the fact that there is the business center of the city here, only 5 km separate it from the beach. The most famous sights such as the Dubai Fountain, Burj Khalifa and Dubai Opera are in walking distance, inhabitants will spend about 5 min. In the same radius, there is Dubai Ice Rink, Burj Park by Emaar, Burj Daycare Nursery. 6 min’s drive leads you to Business Bay Public Park, Bay Avenue (Spinney's end), South Ridge, Garden, Al Khazzan and the Green Planet by Meraas. Have a good time at a delicious meal, enjoy a cup of coffee or grab a fast food at Tche Tche (2 min), Leila Restaurant, Downtown Toko (5 min), Karak House Restaurant, Amore Boulevard Cafe LLC, Sargon Dubai, Mezza House Restaurant, Al Hallab Restaurant & Sweets (6 min), McDonald's (7 min) or others. Style De Vie Commercial Brokers, Dubai Institute of Design and Innovation (DIDI) and Canadian University are in 10 min. International Horizons College, the College of Fashion and Design, Professional and Accountancy Center, British Orchard Nursery - Dubai Women's College and Iwan Designs are approximately at the same distance. Souk Al Bahar, the Dubai Mall, Watch Gallery, Manzil Souk and so on are in about 2 km. Standpoint Residences are two towers, 20 and 30 floors high. They are united by a stylobate. The vertical lines formed by the glass panels visually draw the building, and its relief form tends upwards. Embossed balconies, stained glass and symmetrical design fit perfectly into the city line. Residents can relax, playing sport games like billiard or table tennis. There is also a wonderful swimming poll, surrounded by shady palm trees, well-equipped gym and sauna. 24-hour security keeps order. The parking is covered. In addition, there is a multi-purpose room in the complex. The presence of cafes, restaurants and shops directly in the complex eliminates the need to go out. Children can have fun at the playground area. Dubai International Airport is 20 min away. Ettihad Airways Dubai Office Mazaya Center stays in 9 min from the towers. There are lots of busses nearby such as 27, F13, 28, 29, 50, 81, X22, D03, D03A, F19B, F41, F14 and F19A. Fire Bird Rent a Car, Rental Cars Dubai Mall, Prox Car Hire and other services will help to get a car. There are 452 apartments altogether in the buildings. They vary from studio to 3-bedrooms units. Large panoramic windows offer unforgettable views. Luxury finishing and furnishing allows you to immediately begin to enjoy life at the highest level. Emaar Properties has built the complex. It is a large company that creates the real estate in Dubai and Abu Dhabi since 1997.